Ridge Villa in Kapalua Maui, Hawaii. 1 bedroom, 2 bathroom townhouse. Ocean views, better than GOLD! This one bedroom, two bathroom townhouse is a "Platinum Level" villa that is truly stunning in every sense of the word. 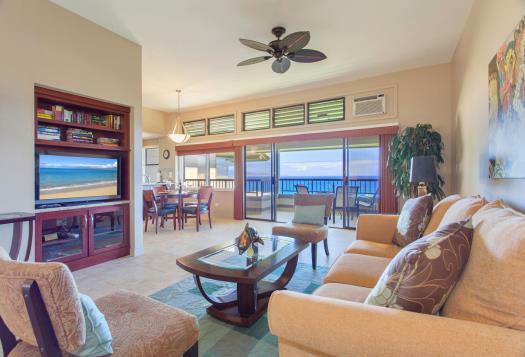 Luxury accommodations, never-ending ocean and costal views, as well as views of the island of Molokai’, will have you feeling as though you are worlds away from the everyday. 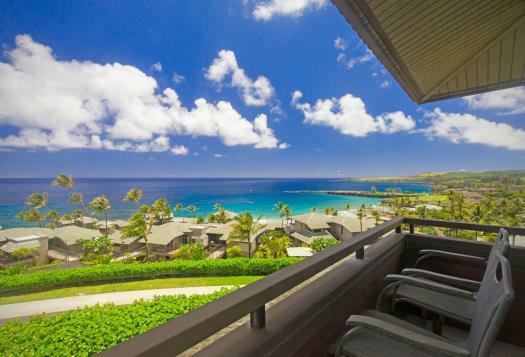 Located at the world-class Kapalua® Resort, a stay at this villa is exactly what vacation dreams are made of! Sitting high above The Ridge, you will find that your views are unrivaled. Peering out from your dining room, you will also discover you have some of the best views of Oneloa Bay in the whole resort. 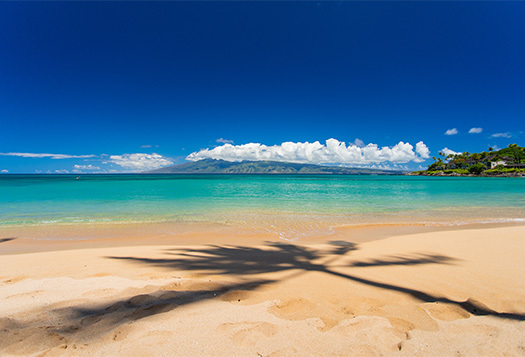 The island of Molokai’ commands center stage as you look over the sparkling blue Pacific Ocean. The Plantation Course, the 5th hole of the Bay Course and world famous Honolua Bay, all combine as if part of a beautiful work of art. It is nearly impossible to come up with a favorite, considering all the views this villa has to offer. Could it be the humpback whales, which grace our waters with their presence each and every year? Maybe. There are no words to describe the thrill of watching these magical creatures splash and jump right in front of your very eyes! The ocean is FILLED with Maui’s most famous visitors, and during whale season, it is nearly impossible to look out and not to see whale spouts and splashes. This villa features a large, luxury remodeled living space, and with tile throughout. Downstairs you will find the living room which includes a large flat screen TV, convertible pull-out sofa with a capacity of four, and, a coffee table. A beautiful, large rustic dining room table is also located just off the living room, and, is the perfect place to enjoy a meal and take in all the vistas. 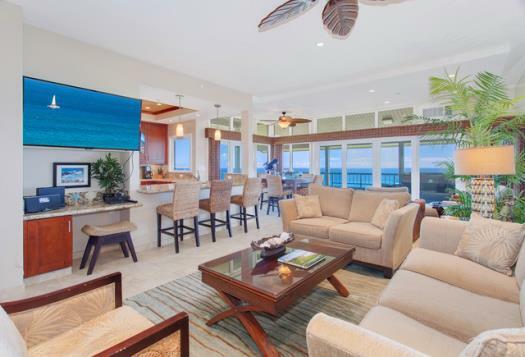 Off the main living area, you will find the first of your two private lanais. The downstairs lanai features a table and chairs for your dining pleasure. 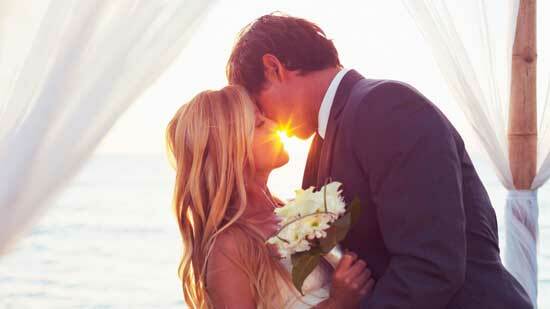 You might find most of your time to be spent outside, enjoying your views, and soft tropical trade winds! 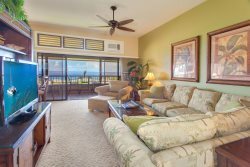 Grab a cup of Kona Coffee and enjoy the sunrise over the West Maui Mountains, or, an evening Mai Tai; then melt away in the luxury of your own private paradise. The remodeled kitchen is every chef’s dream! From it’s granite countertops to its beautiful hardwood cabinets, this kitchen is truly luxurious. What can be better than preparing a fabulous meal accompanied by gorgeous views? The kitchen features stainless steel appliances, including stove, oven, dishwasher, microwave and a large fridge/freezer. The kitchen is FULLY stocked so that you will not discover yourself in a situation where you cannot find that one tool to finish your meal. If you may be in need of something extra, please give us a call and we will be happy to supply it. A remodeled full bathroom is also located on the ground level; it has a shower, granite countertops, sink and hardwood cabinets. Upstairs you will discover the private oasis that is your master bedroom with AC. The focal point, once again, are the dazzling views this room showcases so beautifully. From the king size bed you can take in the stunning ocean views. A flat screen TV, AC, privacy blinds, dresser drawers, and a lounge chair are also included in this room. A private lanai just off your bedroom is the perfect quiet space to read a book or star gaze at night. You might find this to be your favorite spot in the whole villa. 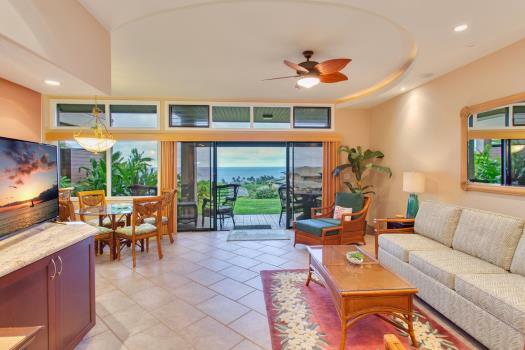 Two raised chairs sit on the lanai, providing fabulous unobstructed island views of Molokai’, and, the magnificent Maui coastline. The master bathroom provides guests with a spa-like experience that encourages relaxation and rejuvenation. From its granite countertops, to its two spacious vanities and the large, jetted soaking tub, this bathroom is a private paradise in its own. In this bathroom you will also find a washer and dryer and large closet with hangers and shelving. Both bathrooms give our guests the comfort and private space everyone desires when getting ready for the day or winding down in the evening. This villa comes with reserved covered parking, free wireless password protected high speed internet, digital cable, discounted golf, starter supply of paper towels, soap/shampoos, laundry detergent and bath/beach towels, beach chairs and a cooler. Excellent communications and service. Very knowledgeable, friendly and helpful staff. Loved it. Best vacation yet. Well appointed Villa. Very clean and secure. Loved everything- Location, view, amenities, proximity to all things and places we wanted to visit. Awesome view.Visited Maui twice before and this was the absolute best location to stay.